We had just remodeled our master bath and needed new insulation. We decided to upgrade the entire house. The first two estimates were identical, without either contractor coming to the house to inspect what needed to be done. Energy Monster came out to the house, took measurements, and gave us a quote almost $400.00 LESS than the previous two contractors. The crew arrived on the scheduled day on time. Their workmanship was outstanding. You would never know they were here as they left the property spotless. They were a great company to work with and I would hire them again. 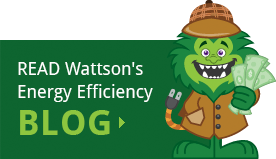 Go ahead and price out your attic insulation project at the big box stores, and then contact Energy Monster and watch their price come in lower. They can buy in bulk and get reduced prices, which means your price quote will be lower than doing it yourself. Also, their high volume machine blows the insulation in faster than a hurricane! I hired them to insulate over the garage, and total time was approximately 25 minutes. Courteous professional installers. Wonderful customer service in their office. And I never had to break a sweat! Energy Monster is top-notch! Came out to appraise, gave good quote and time frame for job to be completely done. Workers on time, did the job and cleaned up. The installers were great, polite and professional. They worked very hard and got the job done. I would recommend them highly. Called company, and they came out the same day to look at the project and emailed us with a quote. Very fast response to emails and did a great job. Would highly recommend. 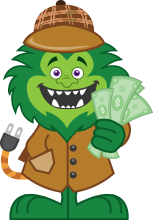 Energy Monster was courteous, professional and they helped me save on my home’s energy bills. I highly recommend! My air conditioning and heating bills have lowered considerably after properly sealing my ducts and insulating my attic. Thank you Energy Monster!